Kim Studio is not a chain or franchise. We don’t believe in gimmicks. 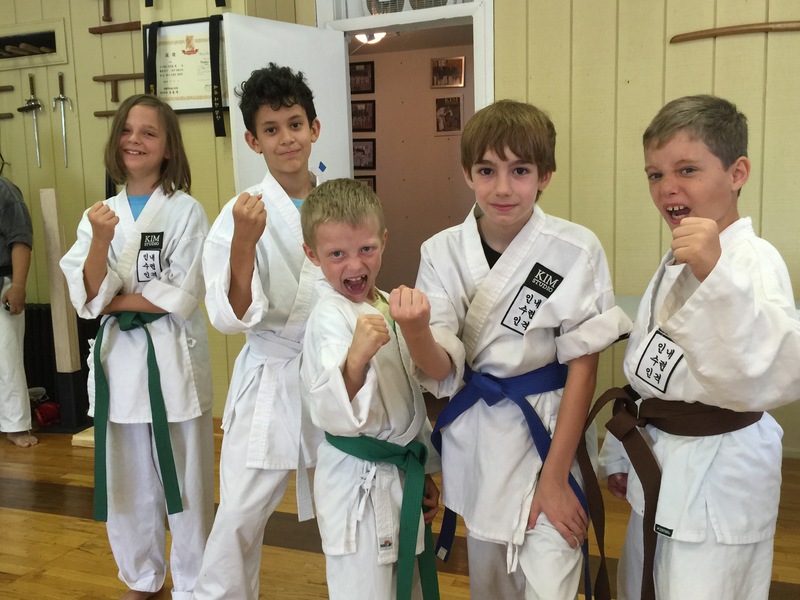 Our students get personal attention and are well grounded with a solid foundation of traditional Karate and Tae Kwon Do techniques, some of which have been developed for over 600 years. We don’t promise martial arts to be either fast or easy. We do promise to make you a martial artist. Unlike some schools, we don’t limit the number of times you can come to class. We want you to train as often as you are able. Come train with us for a free trial lesson and find out if Kim Studio is right for you! Additional family members are included under the same registration fee, however their uniforms and patches are not. Our school places no limitations on which or how many classes a student can attend. We welcome all ages and skill sets in every class. We offer a family discount of 50%-off the monthly tuition for every additional family member to train with us. Any referral makes the student eligible for $20 in that month. Talk to us about setting up regular credit card payments.